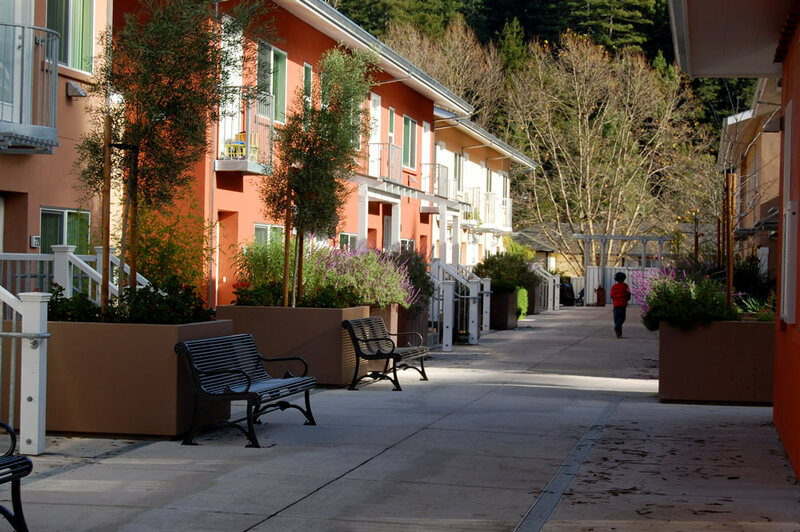 This 48 unit affordable housing development in Guerneville, CA is built for people with special needs. 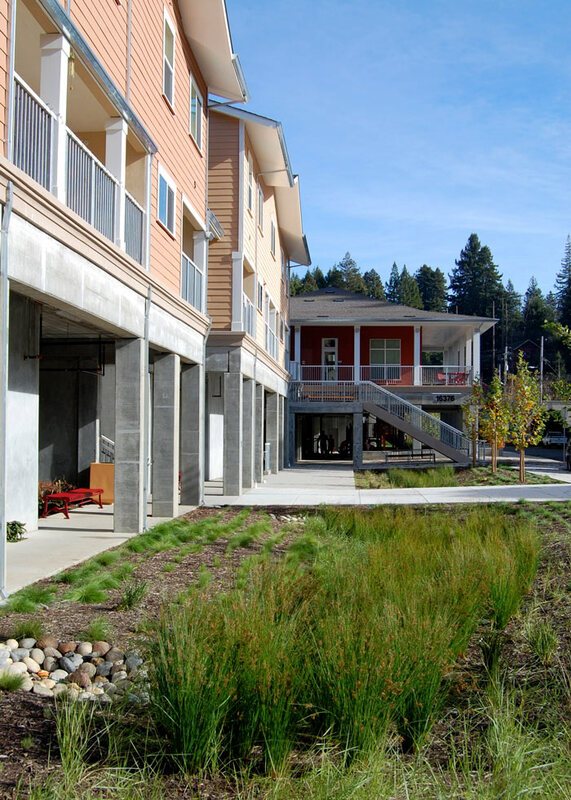 The project is unique in that it is built on a precast concrete podium that hovers above the potential of 15’ of flood waters from the Russian River. 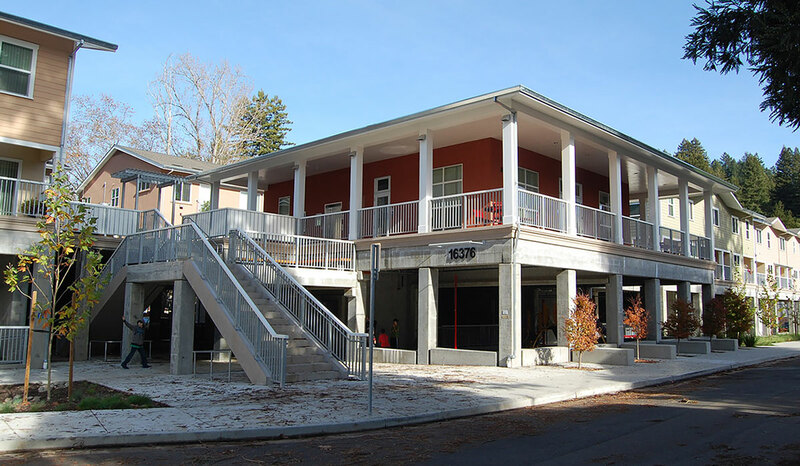 …for parking, a covered playground usable during the heavy seasonal rains, and an arcade that connects the street level sidewalks and rain gardens with the stairs and open spaces above.